The historical use and creation of Fans date back to ancient times, primarily in a functional capacity as a ‘wind-maker’, to provide shade and to swat and deflect insects (lovely! ); imagine the all-powerful Pharoahs in the muggy heat of Egypt being cooled by the breeze of those giant palms (and pesky bugs being swiped), held by personal slaves whose sole occupation was to fan and pander to the wellbeing of their master! 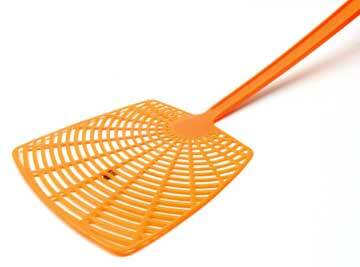 The history of Fan use has incarnated over the centuries from the functional, decorative and sublime to the current occasional use of the modern fly swatter or its more extravagant use in burlesque cabaret! 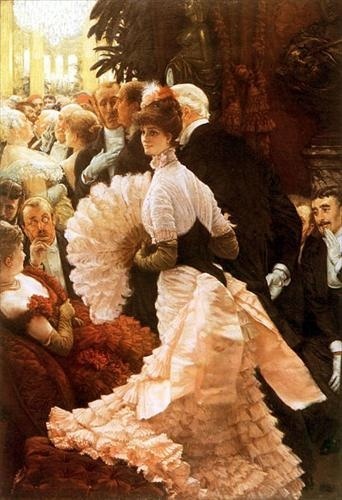 Barring fly-swatting, there is such a romantic and nostalgic affection for decorative Fans and their subsequent depictions in art and film that imbues them with an air of decadence, sensuality, languor, wealth and beauty. So the flames of interest fanned lets take a peek into the art of decorative & perfumed fans. From being a merely practical tool for ‘wind-making’ the fan grew to become an indispensable element of feminine fashion and a social accessory, with painted fans came via Japan and China arriving in Europe via Portugal and Spain in 16c. 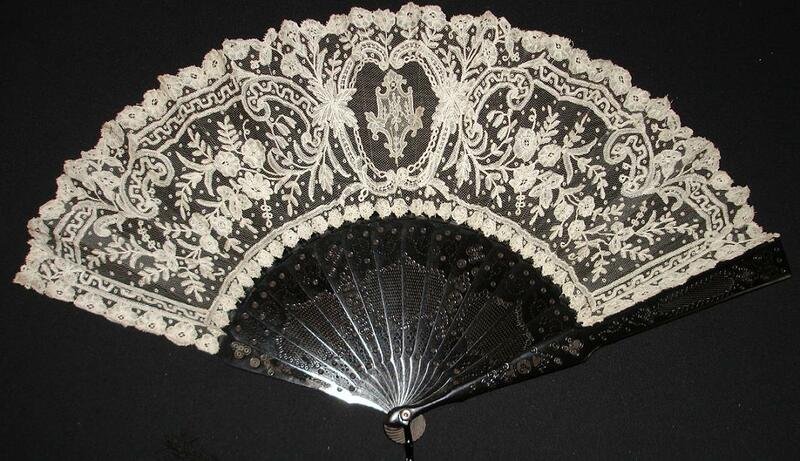 Fans as a fashion accessory became more sumptuous and decorative as new skills were developed and materials sourced. 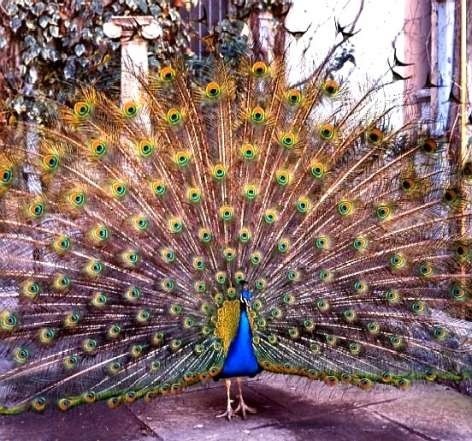 Fan-making was an artisan trade, with many fans created from costly materials such as sticks made from pearl, ivory; bone and laquered woods, with the mounts fashioned from the finest leathers (such as chicken skin – a very fine kid); silks; lace and feathers such as Peacock and Ostrich. 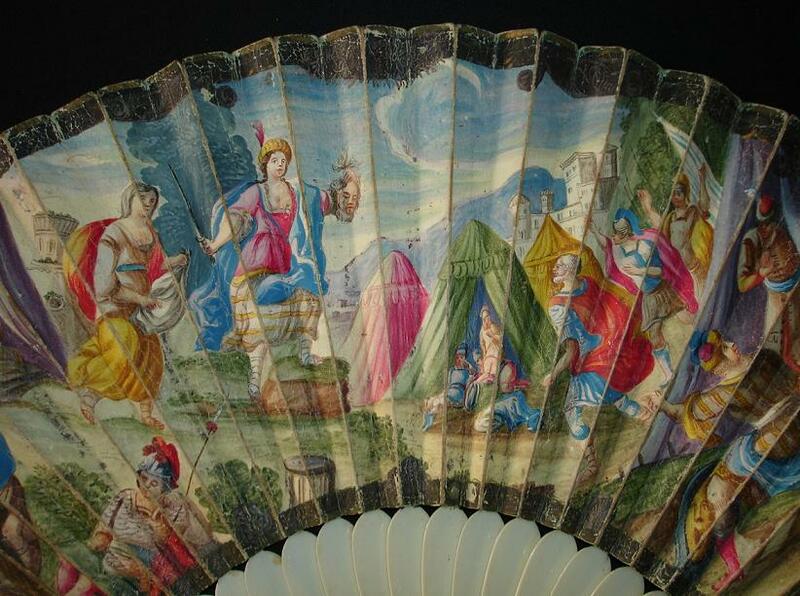 The fine leather and silk fans were painted with topical scenes from mythology, history, religion and nature. The fragrant compounds and materials that would have been available from the 16c would have included roses, carnations; violets; hyacinth; jasmine; cloves; rosemary; orris root; lavender; pine; frankincense; cedar; sandalwood; anise; juniper; cardamom; fennel; nutmeg; ambergris and musk. From 17c all types of leather were perfumed, a tradition brought to France by Italian glove-makers and the coterie of Catherine de Medici in late 16c; there is mention of jasmine ‘butters’ for scenting gloves on a toiletries cargo list to the UK dated 1684. If these fragrant materials were used by glove-makers, then it would take a small leap of the imagination to suppose that the fine leather and/or silk fans could have been impregnated with scent, either commercially to enhance the allure of the wearer, or for bespoke commissions to secure the favour of the wealthy socialites and beauties of the day? 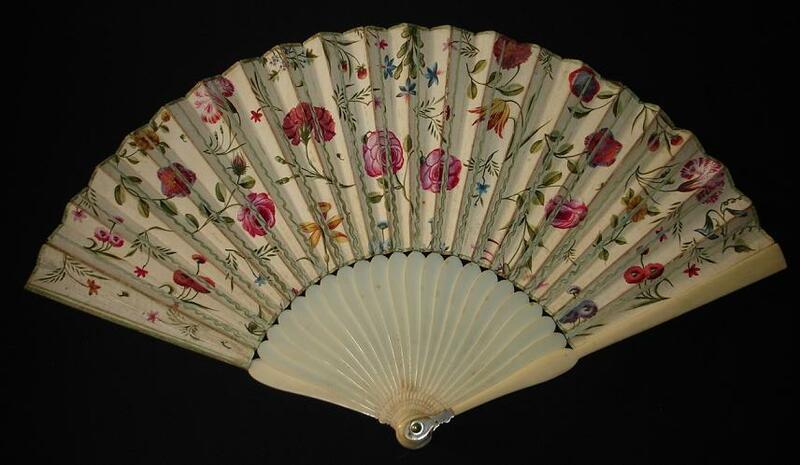 It appears that many fine silk and leather fans of this era were often impregnated with scent, and a reasonable amount of fragrance would be given off when the fan was flapped by the user. However, (typically) reliable information on this process is scarce. By the end of the 17c folding fans of every kind were at the height of popularity and could be seen in the great Courts of Europe, being available only to the wealthy they were the status symbol in the 17th century. The folding, painted fans were often decorated on the reverse with flowers that were in vogue of the time, such as symbolic flowers depicting love, chastity etc. 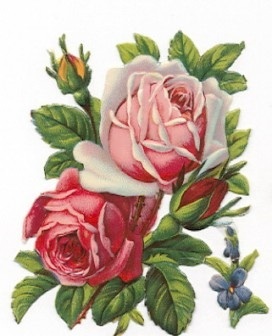 Popular flower depictions included the ubiquitous rose, tulips, and sweet smelling flowers such as honeysuckle, sweet peas, carnations, hyacinth and jasmine. 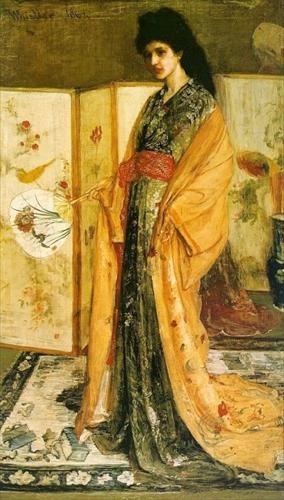 There would seem to be a natural synergy between the use of fragrance, flowers and fans; for example this fan – depicting Roses, Tulips and Carnations – could be scented with these flowers, underpinned by a musk and, or civet, which would be a heavenly fragrance to fan and waft at great coquettish affect! It would also help to mask the possibly more aromatic body odours that would be hanging around at a 17c Court or Salon of infrequently washed bodies. Quelle odeur! This fan is the reverse of the earlier mythological scene, the lady in question would have the mythological side facing out to enhance social status and denote their cultivated sensibilities, with the floral motifs for their eyes only! Image of the reverse of an 18c fan, depicting Carnations, Tulips and Roses – one might imagine it would also be scented with similar aromatics! 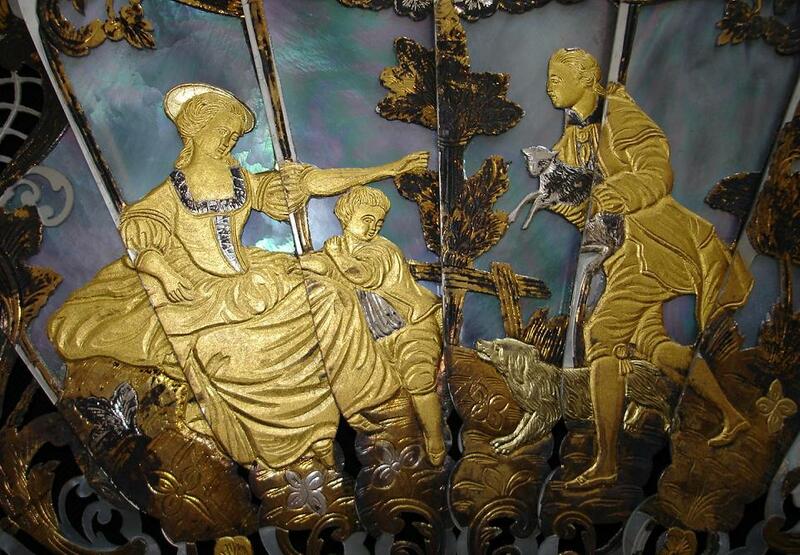 And just for the pure decadence of it, here is a close up detail of a 19c fan, carved from mother of pearl. 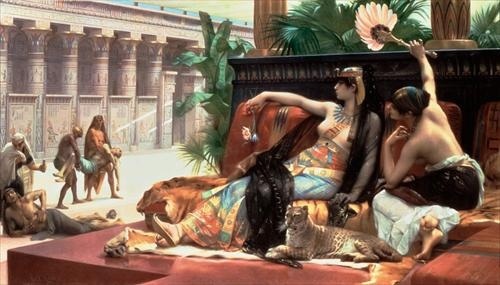 This entry was posted in Egypt, Fans, Fragrance themes, history and tagged 17c and 18c fans, Alexandre Cabanel, catherine de medici, flirting, Flower language, Jasmine, Narcissus, perfumed fans, Rose, scented gloves. Bookmark the permalink.